A must piece of equipment for photographers of all levels, whether your a beginner, hobbyist or professional. 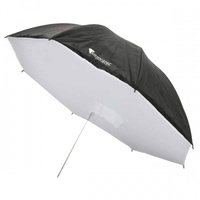 These will allow you to modify your lights, allowing your to refine the way light reacts upon your subjects. A must piece of equipment for photographers of all levels, whether your a beginner, hobbyist or professional. 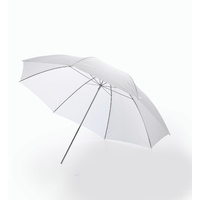 These will allow you to modify your lights, allowing your to refine the way light reacts upon your subjects. 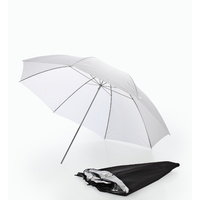 This white umbrella is designed for the light to be shot through it with a 50% light transmission. This acts as a diffusal layer, softening the light which will also soften our shadows and give you an even light source. Shoot through, diffusing light creating softer shadows, even lighting, nicer skin tones. 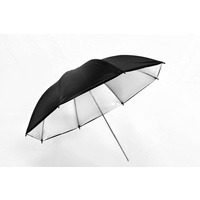 Constructed from Quality Nylon Material. 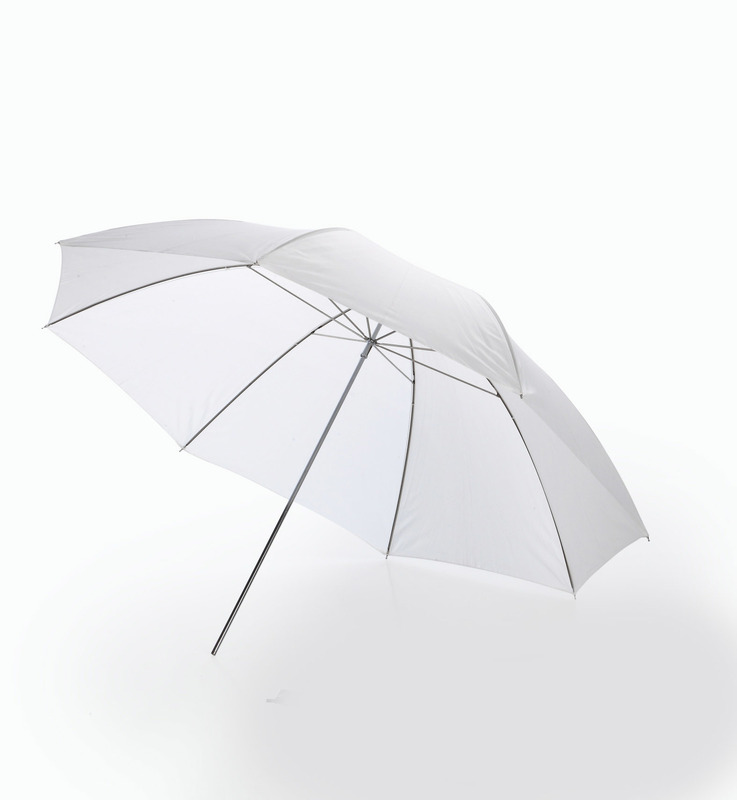 The larger the umbrella the softer the light.